You have probably heard about Bitcoin by now, Bitcoin is daily mention in the news, either hitting a new record price or threats against its existence. Bitcoin is not the only cryptocurrency, there are 1,438 cryptocurrencies tracked by coinmarketcap as of today. A cryptocurrency is a form of digital money that is designed to be secure and, in many cases, anonymous. 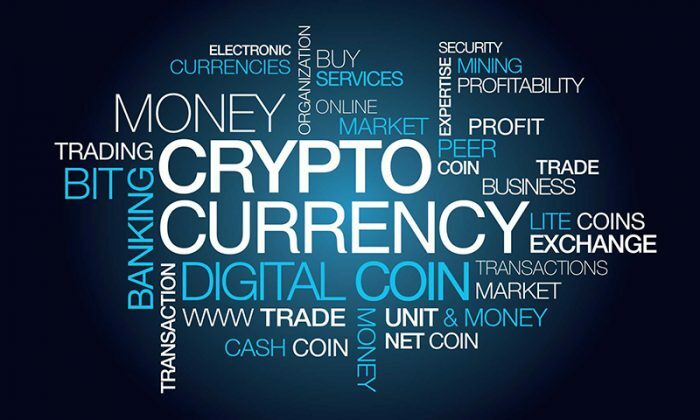 Cryptocurrency is used as a medium of exchange like normal currencies such as EUR, but designed for the purpose of exchanging digital information through a process made possible by certain principles of cryptography. There are mineable and non-mineable cryptocurrencies, Cryptocurrency mining is the process whereby new cryptocurrency digital coins are created when a miner successfully verifies a cryptocurrency transaction and adds it to a public ledger within the cryptocurrency network. Non-mineable cryptocurrencies are purchased instead of being mined. Most of these non-mineable cryptocurrencies will have a defined limited of coins issued. You can check the coinmarketcap, to see what cryptocurrency is minebale and not-mineable. So how are you going to get into the market for cryptocurrencies, do you want to own a bitcoin? It’s not that difficult today, to start investing in cryptocurrencies, you do not need to have a lot of money to start investing, did you know that you can even own a fraction of a bitcoin. You can buy a half of a bitcoin, a quarter of a bitcoin or even a fraction of a percent of a bitcoin. There are more cryptocurrencies than Bitcoin, take a look at coinmarketcap, you see a whole lot of different cryptocurrencies. There are different exchanges that trades in only cryptocurrencies or a mix of cryptocurrencies and traditional stocks. Coinbase, is a only cryptocurrencies exchange – you can buy and sell bitcoin, bitcoin cash, ethereum, and litecoin, it is limited to these cryptocurrencies only. Altcoin.io is a new exchange that is in being launched this year, Altcoin.io is a decentralized cryptocurrency exchange, that is using Atomic swaps, or atomic cross-chain trading, which allows Altcoin.io to exchange one cryptocurrency to another cryptocurrency, without the need to trust a third-party. A relatively new piece of technology, atomic cross-chain trading is looking to revolutionize the way in which users transact with each other. My current favorite is eToro a social investment platform, were you can invest in Cryptocurrencies, Stocks, Indices, Commodities and Currencies. On eToro you could invest in Netflix, Google, Apple to mention a few, as well as the cryptocurrencies Bitcoin, Bitcoin cash, Ethereum, Dash, Ethereum classic and Litecoin, so you can have a diversified portfolio. Before you start investing in cryptocurrencies, you should know about the cryptocurrency that you want to put your money into, do your research, this is the same principle that applies to investing in stocks, funds. I made it a little simpler by giving you a load down on some of the more popular cryptocurrencies. Bitcoin (BTC) was first, it is based on the SHA-256 algorithm. A single Bitcoin can be spent at fractional increments that can be as small as 0.00000001 BTC per transaction. The protocol allows for incremental trades in the event the value of BTC to rises to the point at which micro trades will become common place. The gain in the value of BTC is expected because there’s a limitation to the whole amount of Bitcoin will ever be created. When the Bitcoin blockchain is finished, users can simply circulate the coin that still exists on the community. Bitcoin could function just like a physical cash. Bitcoin transfers are irreversible. You make a payment; it is completed. You can not take it back. Litecoin (LTC) makes use of the Scrypt encryption algorithm, as opposed to SHA-256. One of the goals of Litecoin would be to have transactions confirm at a faster speed compared to Bitcoin network, as well as make use of an algorithm that has been resistant to accelerated hardware mining technologies like ASIC. The entire amount of Litecoin that’s available for mining and circulation is four times the quantity of Bitcoin. Platform that enables smart contracts and distributed applications (DApps) to be built and operate with no downtime, fraud, interference or control from a third party. The applications on Ethereum are conducted on its own platform-specific cryptographic token, Ether. Ether is similar to a vehicle for moving around on the Ethereum system, and is sought by mostly developers seeking to develop and operate programs inside Ethereum. Dash is a more secretive variant of Bitcoin. Dash offers more anonymity as it functions on a decentralized master code system which produces transactions almost untraceably. Ripple is a real-time worldwide settlement network that provides instant, certain and low-cost international payments. Ripple “empowers banks to repay cross-border payments in real time, together with closing transparency, and at lower prices.” Ripple does not need mining, a quality that deviates from bitcoin and altcoins. Since Ripple’s structure does not need mining, it reduces the use of computing power, and minimizes network latency. There are some risks as in any investments, cryptocurrencies are highly volatile and an attractive investment choice for investors trying to profit from market speculation. Investing in the right cryptocurrency, and if you can look passed the volatility, you can make long term investments. Some investors links the cryptocurrencies market as a buble similar to the internet bubble in the early 2000, there will definitely be some consolidation, there are 1,438 cryptocurrencies tracked by coinmarketcap today, and some of them will disappear, so be wise when you select a cryptocurrency to invest in. Invest only in money you can afford to lose – Investing always involves a risk. Cryptocurrency market is new, highly volatile, there is a high risk that your investment will lose value. Do not put all eggs in the same basket – Try to diversify – then spread the risks – as much as possible in your portfolio. If you trade on eToro you can invest your capital in cryptocurrencies, stocks in companies in different industries, preferably at least 12-15 different holdings. In this way, they get a risk spread in case of a possible decline. Be long-term and save regularly – the longer you can spend your money the better. By being long-term and saving on a monthly basis, you reduce the risk of a possible decline.